When it comes to packaged goods it’s all about design, innovation and consumer engagement. We construct brands and packaged goods with messages that consumers relate to and celebrate with engagement. Today’s consumer is savvy and more refined, which is why our designs push the envelope on innovation breaking through the clutter. Feel free to unwrap some of our case studies and see how our strategies and ideas appeal to consumers’ emotions, increase engagement and push for repeat purchases. Want to stay ahead of the curve in the ever-changing world of advertising? 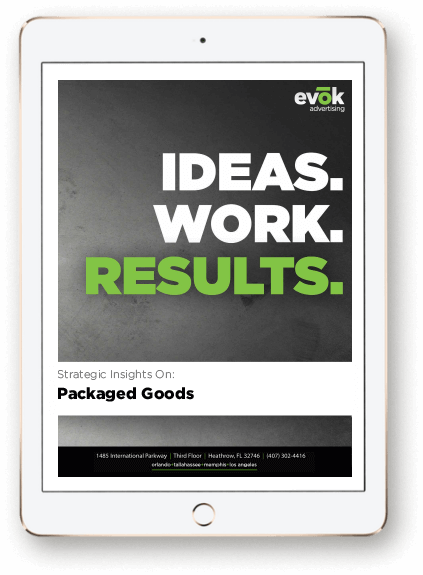 Get the latest insights on the packaged goods industry in our e-book.